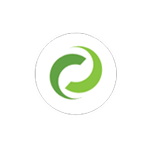 DocRead web parts can be strategically placed on your organisation's intranet site to ensure that important reading assignments are immediately brought to the attention of users as soon as they log on. 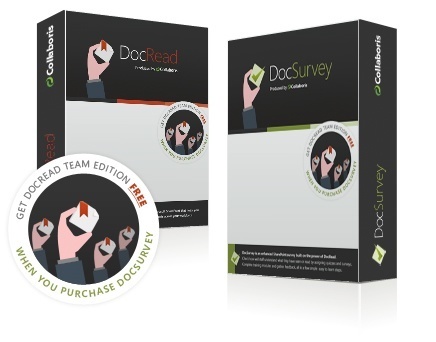 The Top Documents Chart allows you to view the reading status (assigned, completed or overdue) of the most popular reading tasks assigned via DocRead (i.e. the tasks that have been distributed to the largest number of users). You can edit the web part to include details of up to 10 documents. 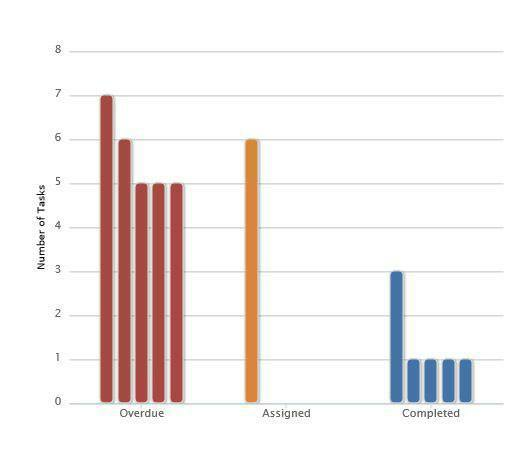 The Reading Status Chart shows how many assigned, completed and overdue reading tasks have been sent by DocRead on the specific site. 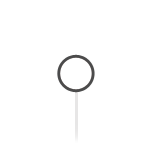 The Audiences Chart illustrates how many users are contained in the SharePoint groups or audiences and have been issued with reading tasks via DocRead. Users who are members of more than one group or audience will be double counted. This chart can be useful if you are nearing your DocRead user licence limit and are considering recycling user licences. 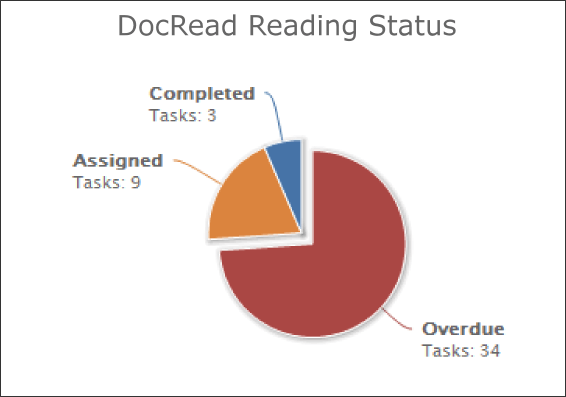 The T﻿op Site Docum﻿﻿ents Pie Char﻿﻿t shows the number of reading tasks distributed by DocRead for the most popular reading assignments via DocRead (i.e. 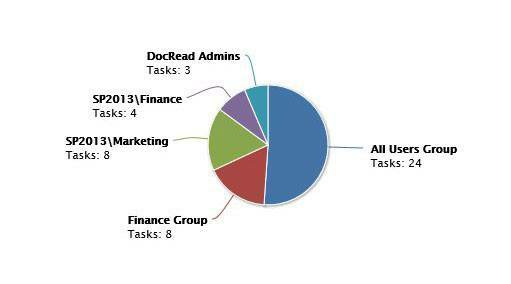 the tasks that have been distributed to the largest number of users). The Charts can be integrated into any intranet page to maximise the visual impact of reading task importance.